What is the cheapest way to get from Cleveland to Farmington Hills? The cheapest way to get from Cleveland to Farmington Hills is to drive which costs $17 - $26 and takes 3h. What is the fastest way to get from Cleveland to Farmington Hills? The quickest way to get from Cleveland to Farmington Hills is to drive which costs $17 - $26 and takes 3h. Is there a direct bus between Cleveland and Farmington Hills? No, there is no direct bus from Cleveland to Farmington Hills. However, there are services departing from Cleveland, Oh and arriving at Oakland Drive & Orchard Lake Rd Ns via Fort & 5Th and Cass & Michigan. The journey, including transfers, takes approximately 5h 17m. How far is it from Cleveland to Farmington Hills? The distance between Cleveland and Farmington Hills is 111 miles. The road distance is 180.9 miles. How do I travel from Cleveland to Farmington Hills without a car? 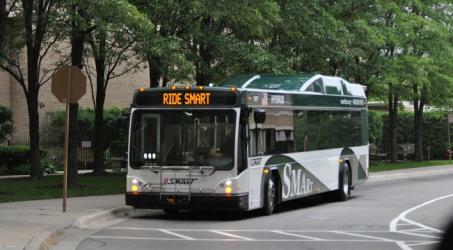 The best way to get from Cleveland to Farmington Hills without a car is to bus which takes 5h 17m and costs $26 - $35. How long does it take to get from Cleveland to Farmington Hills? It takes approximately 5h 17m to get from Cleveland to Farmington Hills, including transfers. Where do I catch the Cleveland to Farmington Hills bus from? 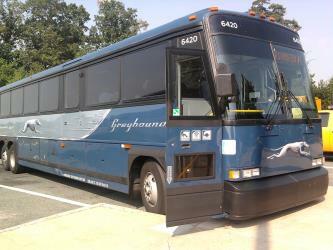 Cleveland to Farmington Hills bus services, operated by Greyhound USA, depart from Cleveland, Oh station. How long is the flight from Cleveland to Farmington Hills? The quickest flight from Cleveland Airport to Detroit Airport is the direct flight which takes 51m. 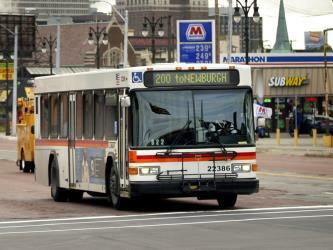 Where does the Cleveland to Farmington Hills bus arrive? 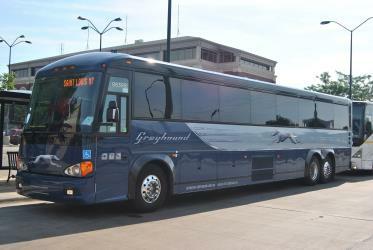 Cleveland to Farmington Hills bus services, operated by Greyhound USA, arrive at Detroit, Mi station. Can I drive from Cleveland to Farmington Hills? Yes, the driving distance between Cleveland to Farmington Hills is 181 miles. It takes approximately 3h to drive from Cleveland to Farmington Hills. What companies run services between Cleveland, OH, USA and Farmington Hills, MI, USA? 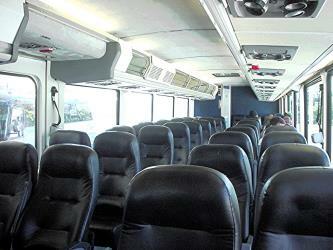 Greyhound USA operates a bus from Cleveland to Farmington Hills 4 times a day. Tickets cost $22 - $35 and the journey takes 3h 10m. Which airlines fly from Cleveland Airport to Detroit Airport? Delta offers flights from Cleveland Airport to Detroit Airport. Where can I stay near Farmington Hills? There are 154+ hotels available in Farmington Hills. Prices start at $74 USD per night. The Detroit Zoo is located about 2 mi north of the Detroit city limits at the intersection of Woodward Avenue, 10 Mile Road, and Interstate 696 in Royal Oak and Huntington Woods, Michigan, United States. The Detroit Zoological Society (DZS), a non-profit organization, operates both the Detroit Zoo and the Belle Isle Nature Center, located in the city of Detroit. The Detroit Zoo is one of Michigan's largest family attractions, hosting more than 1.6 million visitors annually. Situated on 125 acres of naturalistic exhibits, it provides a natural habitat for more than 2,000 animals representing 245 species. The Detroit Zoo was the first zoo in the United States to use barless exhibits extensively. The Henry Ford (also known as the Henry Ford Museum of American Innovation and Greenfield Village, and more formally as the Edison Institute) is a large indoor and outdoor history museum complex and a National Historic Landmark in the Detroit suburb of Dearborn, Michigan, USA. The museum collection contains the presidential limousine of John F. Kennedy, Abraham Lincoln's chair from Ford's Theatre, Thomas Edison's laboratory, the Wright Brothers' bicycle shop, the Rosa Parks bus, and many more historical exhibits. It is the largest indoor-outdoor museum complex in the United States and is visited by 1.6 million people each year. Northville is a city located in and divided by Oakland and Wayne counties in the U.S. state of Michigan. The area is a suburb of Metropolitan Detroit. The population was 5,970 at the 2010 census. Most of the city is in Oakland County and is surrounded by the city of Novi. The Wayne County portion is surrounded by Northville Township. Northville is served by Northville Public Schools. The city is located 21 mi northeast of Ann Arbor and 29 mi northwest of Detroit. 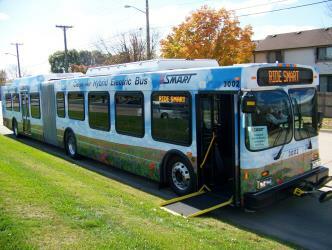 Rome2rio makes travelling from Cleveland to Farmington Hills easy. Rome2rio is a door-to-door travel information and booking engine, helping you get to and from any location in the world. 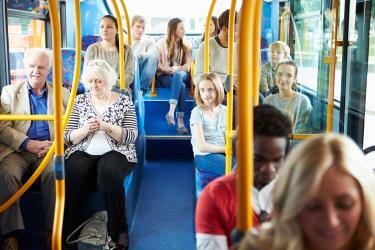 Find all the transport options for your trip from Cleveland to Farmington Hills right here. Rome2rio displays up to date schedules, route maps, journey times and estimated fares from relevant transport operators, ensuring you can make an informed decision about which option will suit you best. Rome2rio also offers online bookings for selected operators, making reservations easy and straightforward.